Portland, Oregon. Earth. Ecliptic Brewing’s latest Special Release beer is a style that has gained popularity in the recent months. The Star Party Brut IPA is an exciting, new take on the ever-evolving IPA style and has an enthusiastic following. Ecliptic Brewing is a venture from John Harris, an Oregon beer icon whose background is steeped in the state’s rich craft brewing history. The name Ecliptic unites Harris’ two passions: brewing and astronomy. As such, the brewery celebrates the Earth’s yearly journey around the sun through both its beer and restaurant menus. Executive Chef Michael Molitor rotates his seasonally inspired menu every six weeks in accordance with the old-world calendar. 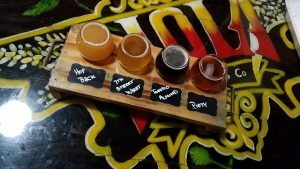 Harris’ signature beers include Starburst IPA, Orbiter IPA, Carina Peach Sour Ale and Capella Porter. For more information, visit: www.eclipticbrewing.com. NOLA Brewery is chilling in an industrial area along the Mississippi River on Tchoupitoulas Street (which is fun to hear in navigation apps). It’s spacious yet comfortable. Nestled inside is a restaurant called McClure’s BBQ that is delicious and worth visiting in its own right. I tried six of their beers across the spectrum and was overall pleased. Everything was classically well done though I was a little underwhelmed by their 7th Street Wheat. Then I tried their sour cherry ale, Piety. It knocked everything else out of the park! Extra tart but still flavorful and complex, aged in red wine barrels for a little more body. Every sip was an aneurism of happiness. I bought a bottle of it and carted it all the way around the south for a week and a half to drink with friends in Ft. Lauderdale, it was a long but worthwhile wait. Blonde – light, crisp and well balanced. Irish Channel Stout – dark and thick, with a decent coffee flavor that didn’t overpower the malt. Hop back Cadillac – an Imperial IPA (east coast style), at first smell it had floral and pineapple notes, but a lemon hoppy flavor. A hazy beer with a low fizz and maybe something herb-y in the background? 7th Street Wheat – this beer was one of the lightest tasting wheats I’ve tried. Low scent profile, and nothing more than a subtle standard malt/hop flavor. It wasn’t bad, if anything it tasted like a well crafted Bud. Toasted Almond – brown ale with a strong coffee flavor harmoniously blended with toasted almond. Dark, fizzy and crisp; it had all the flavor of a porter with the body of a brown ale. Piety – as stated above: aneurysms of happiness. Mr. Beet – a blonde ale brewed with ginger and beets. I hate beets, apparently unless their fermented. This beer tasted more like a sour or even a Prosecco of sorts. It was dry yet sweet, and herbal with the earthy hints of beet. Unique and complex and tasty! It was easy to see afterward why all the recommendations for NOLA leaned heavily on their sours more than anything else. They’ve got the classics down but they’ve taken sours to new levels! 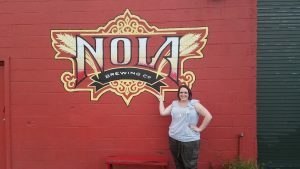 Have you ever been to NOLA Brewing, what did you think? 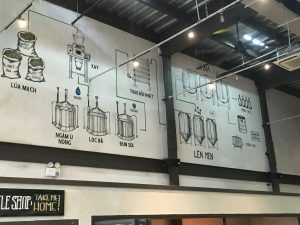 The brewing process in Vietnamese. Recently, I had to the chance to visit Ho Chi Minh City, Vietnam with my father. He has worked there on and off for decades. One of the breweries he told me we had to check out was East West Brewing Company. 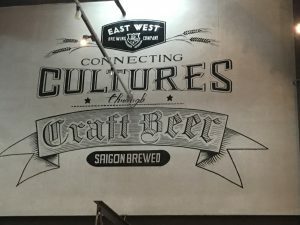 East West Brewing Company is Ho Chi Minh City’s first in-house craft brewery located in the heart of District 1. Delivering bold and authentic flavors using the freshest and finest quality ingredients from the East to the West. Their mission is to artfully craft high quality beer that everyone can enjoy and foster integrity in everything they do. Authenticity and innovation are the core foundations for the flavors in every handcrafted beer that they brew. It begins with the search for flavor of discovering the perfect balance of taste and aroma. They integrate both European and New American brewing traditions, along with the brewing styles of Eastern cultures. The cool thing about East West Brewing Company is that their Head Brewer, Sean Thommen, has Portland, Oregon, USA roots. Sean has had over 15 years of combined experience with crafting, from homebrewing to professionally brewing. He studied in Chicago and Germany in brewing science, and began brewing professionally for over 10 years in the city of Portland, Oregon, USA. Sean is extremely excited to share his extensive brewing knowledge and is dedicated to advancing the craft beer culture here in Vietnam. With a population of over 10 million, Ho Chi Minh City is one of South East Asia’s fastest growing cities in conjunction with being Vietnam’s largest and most electrifying city. It brings life and vitality into foreign backpackers, travelers, expats, and all those who settle here. A crowded, lively, bustling, and booming city barely scratches the surface of describing the city that is the heart of Vietnam – Ho Chi Minh City. Far East IPA – The Far East IPA takes an international route. This full-bodied India Pale Ale is loaded with malt, hops, and yeast from all over the world. From aromatic American centennial hops to New Zealand’s tropical Nelson Sauvin hops, this beer provides a beautiful inter-pacific aroma that is enjoyable all year round. Saigon Rose – This crisp and light bodied wheat ale contains a refreshing acidity and luscious fruit forward profile of fresh raspberries. Pink rose hues and berry perfumes, the Saigon Rosé delivers a crisp, clean, and subtle sweetness that is perfect for any occasion. Hands down my favorite beer that we tried. I also heard a rumor that my sister-in-law also loved it. Modern Belgian Blonde – Deceivingly strong, with aromas of bold bouquets from the Belgian yeast and unique blend of hops, Far East Brewing Company present to you their Modern Belgian Blonde. Malts provide a strong foundation, while balancing the medley of pilsner, pale, and wheat hops. An infusion of Vietnamese palm sugar provides a contemporary twist to this Belgian classic. Coffee Vanilla Porter – Their Coffee Vanilla Porter uses a unique cold press coffee blend designed to compliment the robust character of the beer. The interplay of deep roasted malts and Vietnamese coffee are perfectly married, while the addition of vanilla contributes layers of decadence. It is truly smoothness in a glass. 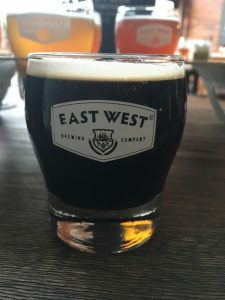 Have you been to East West Brewing Company? Or Ho Chi Minh City? It’s been about three years since I’ve been to Hanoi, Vietnam. 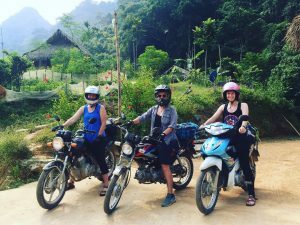 This time, I was in Vietnam for a five day motorcycle ride with two amazing girlfriends. Three girlfriends, five days in Vietnam, lifetime of memories. In celebration of completing our ride, the minimal blood loss and the fact that we were all still going to be friends, we decided to check out a new brewery that opened up in 2017, Turtle Lake Brewing Company. Billed as Vietnam’s newest Craft Brew Pub, offering a great range of premium craft beers all brewed on site. It was a massive complex, with a great view of the water and some shade to rest post-ride. Turtle Lake Helmet Boy Saison – Citrus and spice with orange peel, coriander and ginger. Locally sourced ingredients with notes of banana, cloves with a crispy finish. 8% ABV and 11 IBU. This was hands down my favorite beer that we tried. I loved that it has local ingredients! Turtle Lake Head Up Red Ale w/ Kumquat – Citrus and malty with kumquat, notes of dark fruits and raisins. 8% ABV and 23 IBU. Turtle Lake Hanoi Garden – American wheat ale beer style, fruity and wheat flavor, Cascade hops. 4% ABV and 6 IBU. This was my second favorite beer of the night. I had a full pint of this because it was so good. Turtle Lake Ho Tay VPA – Pine forward full bodied with Amarillo, Citra, and Saarz hops. Aromatic at 5.6% ABV and 22 IBU. 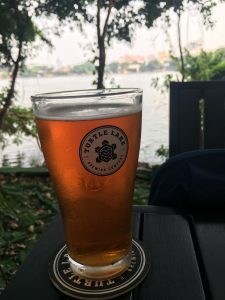 Have you ever been to Turtle Lake Brewing in Hanoi? 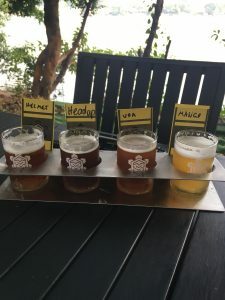 Or any other breweries in Vietnam? 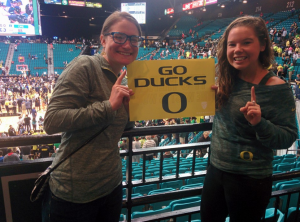 Ashley and I at a UO Basketball Game. Another thing I love about the fall is college football season (Go Ducks)! Being from Portland (and having a younger brother that is a UO graduate) I’m a big fan of Pac 12 Football fan (Go Ducks!) 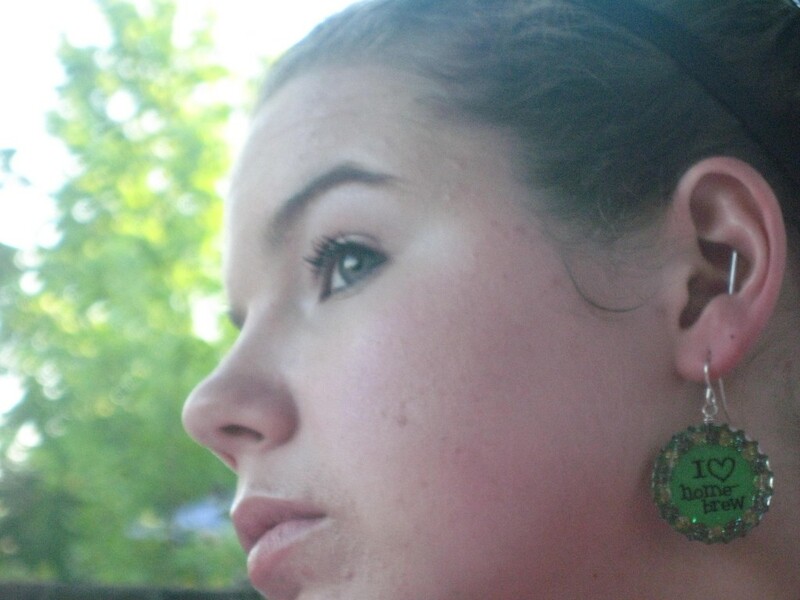 and the University of Oregon (Go Ducks!) In this spirit, I’ve decided to highlight the top brews for each of the Pac 12 schools. These would make two awesome six-pack gifts if anyone is going to a tailgate party anytime soon. Did you catch that I selected “tough” sounding beer names? What about you, like college football? Who are you rooting for? What would “their” beer be?